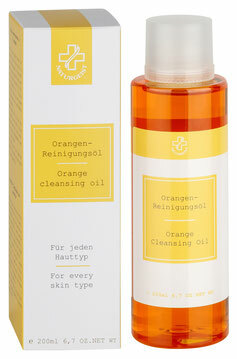 no animal testing, vegan cleansing oil with the addition of natural oils such as orange oil. Cleans gently and pore-deep. 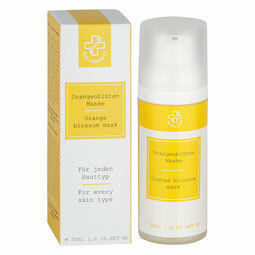 Extremely skin-friendly face cleaning product, created using natural oils, like orange oil, almond oil and avocado oil. Cleans gently and down to the pores. Apply the oil to the skin that you would like to clean and lather it up with lukewarm water. Then rinse it away with lots of lukewarm water. Appropriate for every skin type, especially for sensitive skin. For a bath: put the product in the hot tub. It creates a nourishing emulsion that cares for your skin. no animal testing, vegan horse chestnut gel, stimulates the circulation of tired legs. Applies to be disinfected, decongestant, increases blood circulation, purifies. 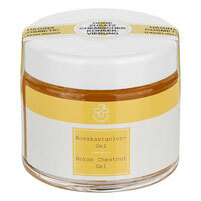 Mild, skin-friendly, fat-free gel that stimulates circulation in tired legs. Horse chestnut is disinfecting, improves circulation, detoxifying, deblocking and plays an important role in naturopathy. High-quality product for the care of sore legs. Apply the gel on your legs and massage it in. For a better effect, bandage the gel with a foil. No animal testing mask with a high penetration tendency. This high-quality specialty product has a high inclination to penetrate the skin. The ingredients, like aloe vera and orange oil, improve the moisture in your skin. Apply the mask in a generous layer, leave it for 10-20 minutes and remove with lukewarm water. Appropriate for every skin type. no animal testing orange blossom cream, a moisturizing cream with a slight fat character. Calming and moisturising creme with a slightly lipid character. Due to its high penetration, the aloe vera and the nurturing oils, like orange oil, become completely effective. Appropriate as daytime or night-time care for normal to sensitive skin. Daily as day or night cream. For every skin type - normal to sensitive skin and combination skin. no animal testing, vegan and fat-free gel with solubilized active ingredients. Non-greasy gel with solubilised active substances that serve to improve the level of moisture in your skin. The 12 herbs, like marigold, lime blossom, coltsfoot and many more also contribute to the protection of your skin from harmful environmental influences. Apply the product 2-3 times a week to cleansed skin. Let the mask work for about 20-30min and then remove it with warm water. 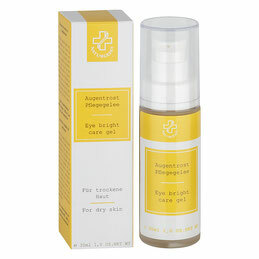 High-quality special product on the basis of a non-greasy gel for the care of the eye area. Also suitable for the care of the décolleté. Ensures an improvement in the moisture level and has a positive influence on the elasticity of the skin through the use of aloe vera and eyebright extract. After cleaning, gently pat the product on the cheekbones.